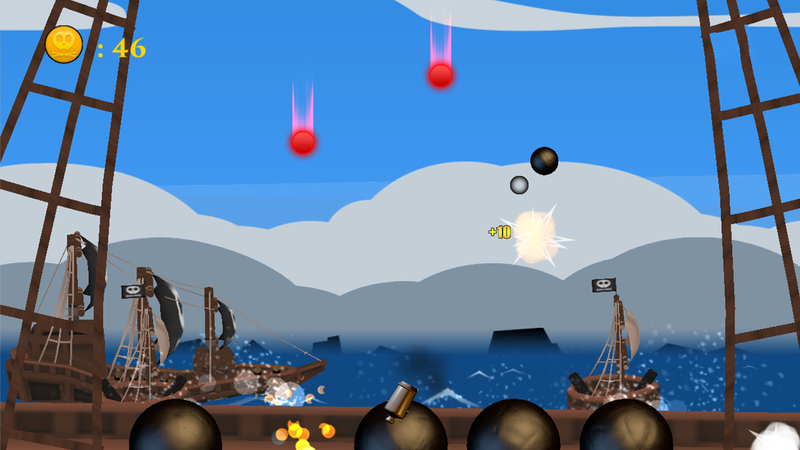 Inspired by arcade classics like Missile Defender, Cannon Ballers redefines the genre with beautiful cartoon pirate graphics, and insane juggling action. Take control of a up-gradable cannon, keep enemy cannonballs from reaching your ship, and claim your golden coins! Steamburger Studios is proud to announce that Cannon Ballers is an official Amazon Fire TV launch title, with full Amazon Game Controller support. Available now for $0.99 under arcade in your Fire TV games category. Cannon Ballers is now available for your Ouya console! Cannon Ballers is offered F2P at the Steamburger Studios website, kongregate.com, and this month for Android at the Amazon Appstore.